Christophe Leclerc is a partner at Accuracy. With over 20 years of experience in financial advisory, he leads the innovation team in Accuracy and specialises in modelling and valuations in transaction, litigation or development cases. While having experience across multiple sectors, he has extensive experience in supporting the Aerospace & Defence, Energy and Manufacturing sectors. Christophe has developed a tool dedicated to large project valuation and financial monitoring (Accur’Decide®) and a tool used in the valuation of management packages (Accur’Option®), a topic on which he has authored two books. He has supervised over 600 valuation modelling and data science engagements over the last 10 years. He is a member of the French Valuers Society (SFEV). 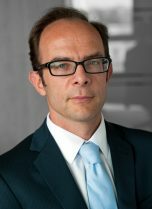 Christophe has also been involved in commercial litigation cases dealing with the quantification of damages resulting from construction, commercial, and post M&A disputes. He is recognised among the leading expert witnesses worldwide by Who’s Who Legal in corporate tax litigations and valuations. Independent review of the schedule and cost of four EPR nuclear plants (over €30bn). Valuation of power plants in South Boston.